I’ve never physically written down a bucket list of things I’d like to accomplish or do in my lifetime, but if I did, there’s one thing that after this past weekend, I can mark off that list. Seeing the Kentucky Wildcats play in the NCAA Tournament? Check. March is a special time in the Hawkins household, and not just because of Drew’s birthday. It’s during the height of basketball season, March Madness, when Drew and I spend a good month glued to the television, making brackets (mine which has long been busted since the Round 1 games), and drinking many a glass of beer. 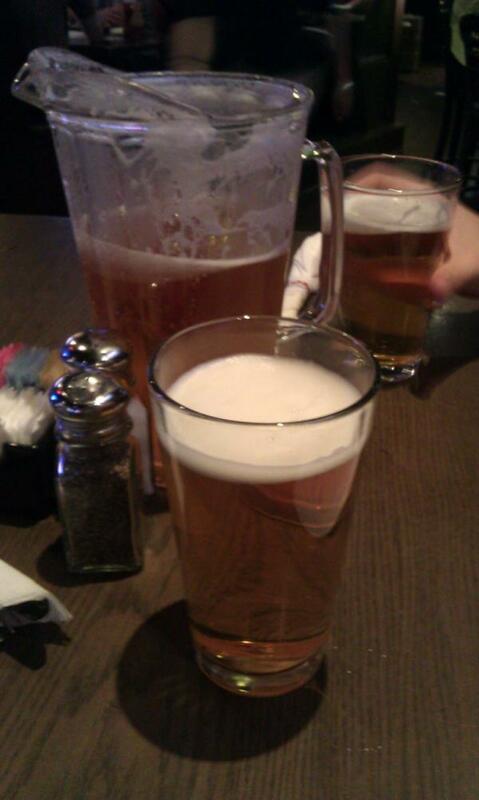 Watching UK defeat Indiana, with a pitcher of Strongbow, of course. After finding out that the Sweet 16 and Elite 8 round games were going to be played in the Georgia Dome here in Atlanta, we immediately wanted to buy tickets. We went over the pros and cons again and again, but ultimately we decided to buy tickets for the Elite 8 game this past Sunday. Sure the tickets were expensive, and it would mean missing a weekend in the mountain with our house church, but when would we have a chance like this again? 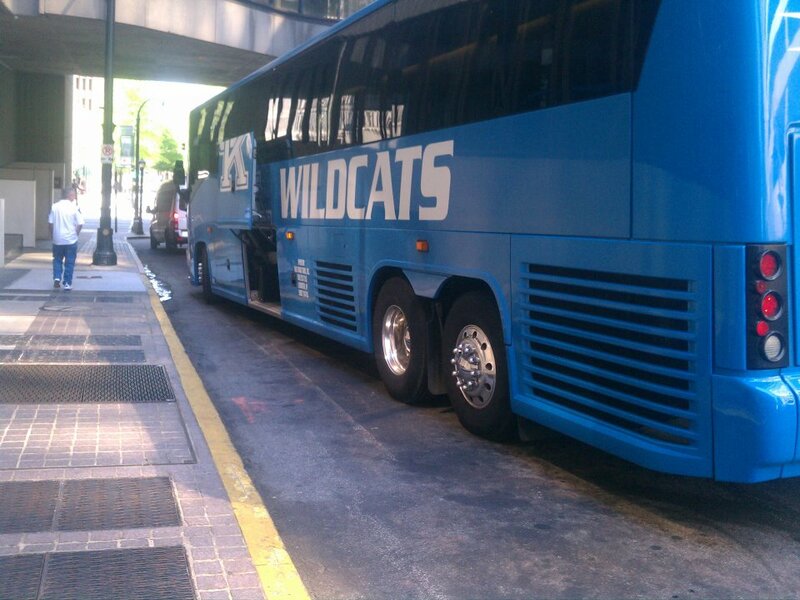 This is the year UK just may win it all. 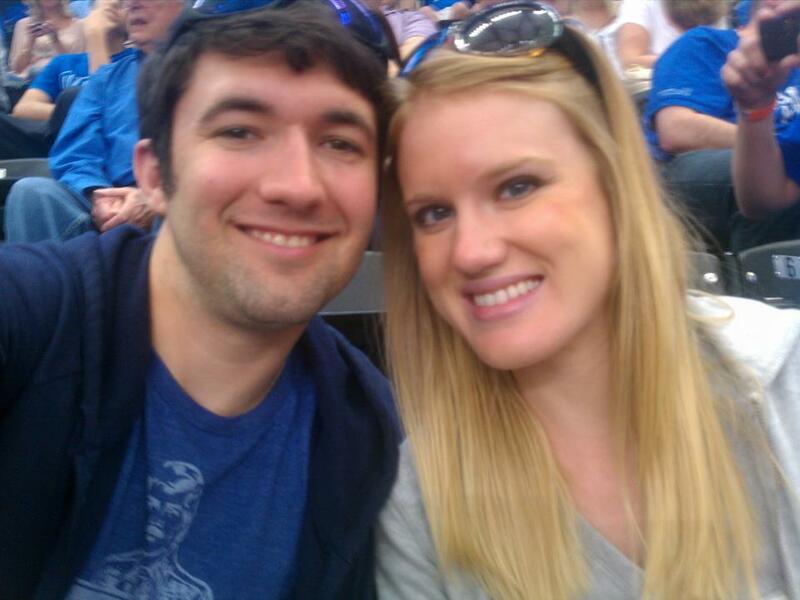 So, we took a gamble and bought our tickets a week before UK even won against Indiana. Turns out, our gamble paid off! It was absolutely thrilling to see blue cover 90% of the arena. 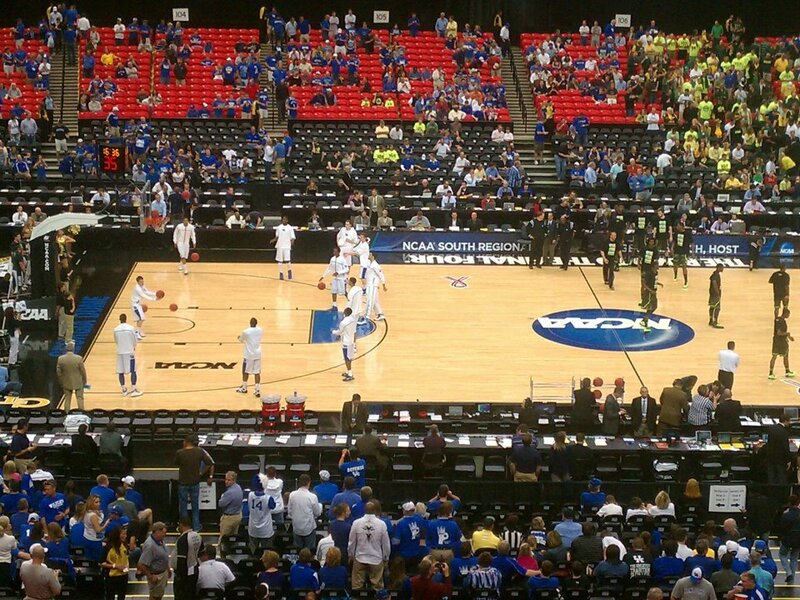 Baylor may have highlighter yellow jerseys, but they were drowned out in a sea of UK blue. It’s long been said that UK fans are the most loyal travelers and will follow their team anywhere, and I can now vouch for that statement. I get excited and emotional watching the games on TV, but it’s no comparison to actually being at one of the games. It almost felt like I was back home in Kentucky. We stayed throughout the trophy presentation and the cutting of the net. Saturday night brings on the biggest rival since UK/Duke. Just ask these two elderly men. While we haven’t yet decided where we’ll watch the game, but you can bet we’ll be watching (and most definitely wishing we were in New Orleans). Gonna be some dirty birds eatin’ some crow come Saturday night.